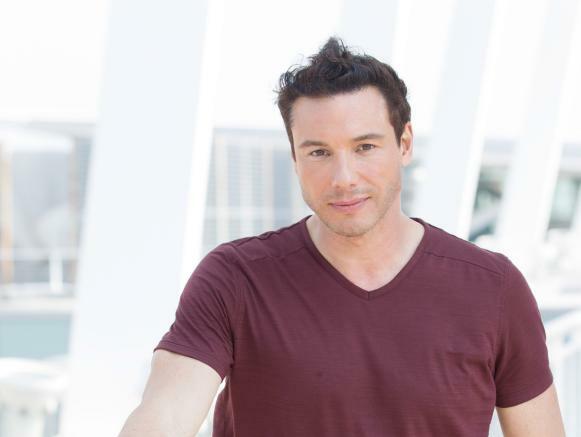 Get to know Rocco DiSpirito, the host of Restaurant Divided. Host, Rocco Dispirito at the Staten Island restaurant "Against Da' Grill" as seen on Food Network’s Restaurant Divided. Rocco DiSpirito is an award-winning chef and the author of nine highly acclaimed cookbooks, including back-to-back #1 New York Times best-sellers Now Eat This! and Now Eat This! Diet. His current cookbook, Now Eat This! Italian, is also a New York Times best-seller and features classic Italian dishes reimagined, each less than 350 calories. Rocco has been a television mainstay for more than 20 years. He is on a mission to change people’s negative perceptions of healthy food by making low-fat and low-calorie dishes flavorful and healthy, while dispelling the myth that healthy is more expensive. Rocco’s revolutionary new book, The Pound a Day Diet, debuts January 7, 2014. The Pound a Day Diet is designed to help you lose up to five pounds every five days — without frustrating plateaus — while enjoying your favorite foods. In 2012, Rocco founded Savory Place Media, his production house. Its first project, Now Eat This! Italy, for AOL Originals, became an instant hit with millions of views and is a top 10 series on AOL ON. Get the latest details on Restaurant Divided.